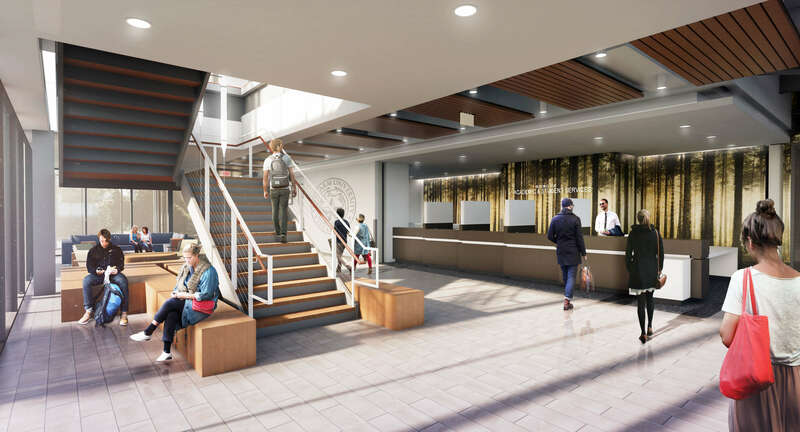 The three-story Building for Academic & Student Services is a multi-purpose facility, integrating student support spaces with classrooms, laboratories and faculty offices in a modern learning community. 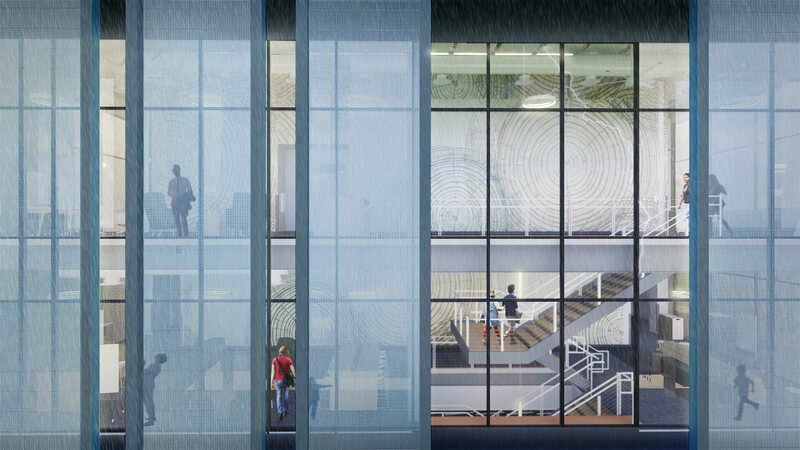 The facility includes specialty spaces to foster campus programs and facilitate outreach and collaboration to the community. 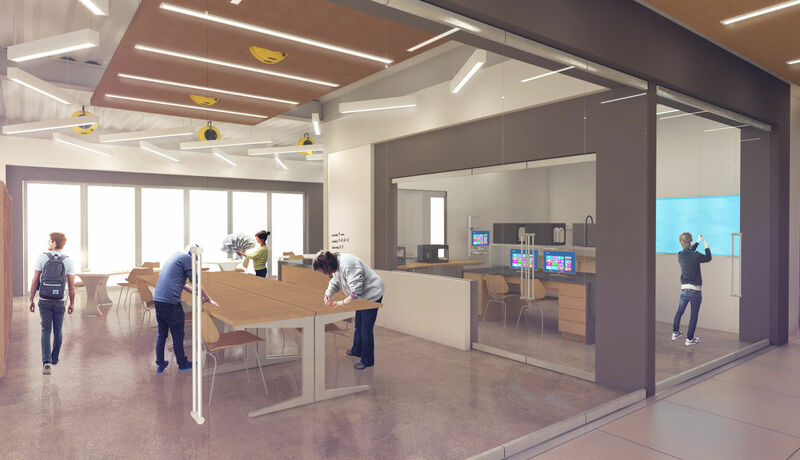 The first floor houses environments to inspire creativity, including an Innovation Laboratory that will allow students to assemble and fabricate projects, test materials and devices, conduct motion capture experiments and collaborate in experimental ways. 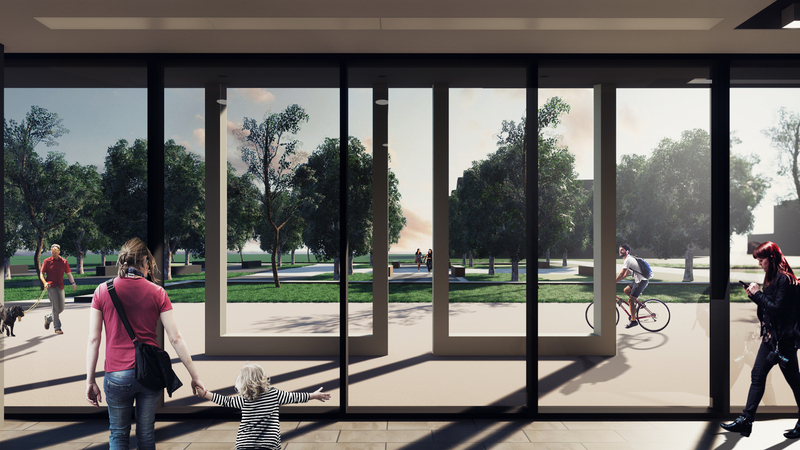 The full-height glazing provides high visibility from the entrance lobby and connection to the adjacent Work Room, which is a controlled space that houses 3D printers for researchers, students and community use. The nearby Machine Shop provides a home for shop equipment for use with metal and plastics and is designed to allow a possible future addition. Also included on this floor is classroom with infrastructure to allow this space to be transformed into a 3D Immersion Lab in the future. The third floor laboratories support the growth of the nursing program through state-of-the-art simulation, assessment and skills labs. 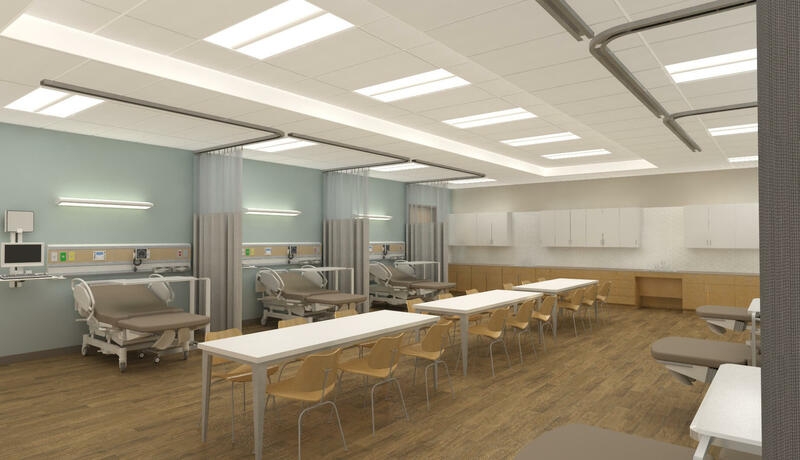 The central six room simulation suite replicates a hospital ward and include specialty simulation spaces such as a nurses station with telemetry tracking, bariatric room, labor and delivery room, med-surg rooms, patient transfer toilet and medication room. Control rooms are integrated to allow for AV and data capture of scenarios, including high fidelity manikins. Briefing rooms provide essential space for student prebriefing and debriefing.